It is with profound sadness that we announce the passing of Christine Schuhmann on Saturday, May 19, 2012 at home surrounded by her loved ones. Christine is survived by her loving husband Hermann, parents Hans and Elisabeth Burkhard, her sister Silvia (Hans Sutter) and mother in-law Ida Schuhmann. She will be greatly missed by her extended family Maria (Wolfgang), Kilian (Edith), Wendelin (Astrid), Siegfried (Barbara), Lissy (Otto) and Engelbert (Britton) and her nephew and nieces: Michael, Nicole, Nadine, Daniela and Vicky. Christine was born on February 20, 1957 in Lengnau, Bern, Switzerland. At the age of 24, Christine moved to Montreal with her parents, where they operated Christine’s Exclusive Shoes. After the business was sold, she worked as a receptionist at a Car Rental business and after that as an accountant at Titanium Ltd. Despite her busy work schedule, Christine still found time to sing in her church. As fate would have it, this is where Hermann heard the voice of an angel and on June 1 of 1991, they were married. They moved to Elma, MB where they set up H & C Electronics. Never one to sit still, Christine also worked as a Health Care Aid, Medical Receptionist and Doctor’s Assistant from 1992 until December, 2011 at the Whitemouth District Health Centre. 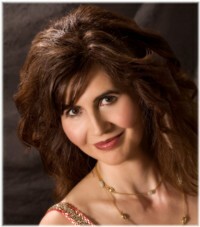 At the same time, Christine established herself as a professional singer and toured North America and Europe. Throughout her many years of dedicated service in the clinic, Christine has been an inspiration around the world touching countless lives with her kindness, compassion and beautiful angelic voice. We are so grateful for the overwhelming outpouring of support from family, friends and this community. A special Thank You goes out to Betty and Louise for their sincere dedication to Christine and her loved ones in those last couple days. Funeral arrangements were made for Saturday, May 26 at 11:00 a.m. at Sobering Funeral Chapel, 1035 Park Avenue E., Beausejour, MB. After the service, interment was in the Whitemouth Lutheran Cemetery, followed by a celebration of Christine’s life at the Whitemouth Hall. God Always Blesses us Personally, with His Never Ending Love and Grace. One of My personal Blessings was the day that I met Christine and Hermann. We became instant friends and over the years shared God’s Love between us. Christine, with her God Given Voice and Her deep Love of God within her always Shared with these with everyone she met. Titled “The Voice of an Angel”, Christine Blessed thousands of people singing to the world and Praising her Heavenly Father for all Her Blessings. Her charm, Her,mannerism, Her smile, and Her voice were all filled with her Faith and Gratitude towards Her Father God. Now, we have to open our own personal Memory Treasure Chests and be strong as this is what Christine would want us to do. To take care of ourselves and of each other, now and always. This was the Christine way. The way God ment it to be. Thank-you Christine for the Blessings that we shared over the years and I anxiously await the day when I too will join family, friends and You, at the Final Supper Table, at our Heavenly Home. Whenever you would go to the doctor’s office,Christine would greet you with her wonderful smile.She has a voice of an angel and hope she keeps singing in heaven. You will be greatly missed by all. Rest in peace Christine. Christine has always been the most friendly,kind,compassionate,thoughtful & loving person we’ve ever had the honour of knowing.Our hearts are broken,never to be the same again without Christine in our lives.We have all been blessed to have known her & will always keep her in our memory.She is now an angel watching over us all.We love you Christine! Just would like to send my deepest condolences from the bottom of my heart. Although we didn’t know each other for a very long period yet Christine was like a friend I seem to have known for ages and I’ m ever so happy having been able to make aquaintanship with a wonderful, generous, kind and warm hearted person like her. Thank you Christine and Hermann. A friend of mine wraped it in these very special and yet encouraging words “God our father needs to bee surrounded by kind and friendly people too that are full of love and he enjoys to hear a beautiful angelic voice!” That’s why he wanted to have Christine at his side and I’ m sure she will do well near him! By, by my angelic friend, I will never forget you! Herman, I am so sorry for your loss and my prayers are with you. I barely knew Christine even though we worked for the same organization…but she would periodically call me for help with her computer or software and it didn’t matter how bad a day I was having, her kind words and caring, gentle manner always made me feel appreciated, I will truly miss her. DU BIST SICHER IN DEN ARMEN UNSEREM JESUS,UND BESCHUETZT VON ALLEM LEID. ABER WIR, DEINE RADIO HERZ FREUNDE WERDEN DICH UND DEINE SUESSE STIMME SEHR VERMISSEN. WERDE FUER DEINE FAMILIE BETEN, FUER DIE SCHWEREN TAGE DIE VOR EUCH LIEGEN. RUTH and Juergen Hahn send our Neverending LOVE to FAMILY —GOD be with you ALL. an Dir und an Die ganze Familie. wir vermissen Sie so sehr. Keeps her memory ever dear. R.I.P Christine in God’s Loving Hands! So so sorry to hear of Christine’s passing. Her angelic voice and heartfelt compassion will never be forgotten. The annual Christmas gathering for WPCH residents, family and friends where we first heard Chritine’s amazing voice will remain one of our joyest memories. Love, Marlene and Faye and Dianne(daughters and granddaughter of a former resident of the Whitemouth Personal Care Home,now deceased, Louise Hogue). Lieber Hermann und Familie, nochmals moechten wir Euch unser tiefstes Beileid ausprechen fuer den Verlust Eurer und unserer geliebten Christine. Sie war ein Engel auf dieser Erde und wir werden sie alle sehr vermissen mit ihrer Engelsstimme.Nun ist sie in einer schoeneren Welt ohne Schmerzen und kann mit den Engeln singen. Aber sie wird immer in unseren Herzen bleiben mit ihrer wunderschoenen Engelstimme und Lieder. Ja, es ist immer schwer einen geliebten Menschen zu verlieren, ganz besonders schlimm ist es weil ihre Krankheit nicht schon vorher erkannt wurde. Lieber Hermann wir denken so oft an Dich, denn Dein ganzes Leben ist auseinandergefallen und es kann Dir keiner Helfen, ausser Deinem strengen Glauben und Deiner Liebe zu Christine. Sie wird immer bei Dir sein, in schlechten und guten Stunden und Dich troesten. Du musst sehr stark bleiben und darfst Deinen Glauben an Gott nicht verlieren, denn er ist unser fester Stein und wenn wir an Ihn glauben wird er uns troesten und Kraft geben. Deinen Engel Christine immer in unseren Gebeten haben und hoffen es gibt Dir ein bischen Hoffnung, dass Du die Kraft nicht verliest in der naechsten Zeit.